Why is the level so high? In 2011, the Government announced plans to introduce a new family migration policy. One of the major changes was to make the level of income threshold “higher than that of the safety net of income support”. Various groups are campaigning against the financial requirement, which they consider to be unfair and disproportionate, but so far all legal challenges have been unsuccessful. There are estimated to be more than 4,000 families currently separated by this new requirement. AFF has been contacted by a number of unit welfare officers and other organisations expressing concerns and asking for advice on how to assist their soldiers. Of the 40-50 soldiers who have contacted us about this issue, many are worried about their mental state and the effect the separation is having on their marriage and their ability to do their job. Padre Paul, from 3 Rifles, has recently been spoken to by two soldiers suffering from depression as a result of separation from their families. He said: “The impact of being estranged for an extended period from one’s loved ones can be very serious. “It can have a negative effect on the morale of the soldier and of their comrades. “The cost of international travel and frequency of periods away from base means it is very difficult to make visits home and for families to arrange to visit. We are concerned about the effect the new rules are having not only on the soldiers and families but the possible wider effects on units. The importance of having our families close to us cannot be underestimated. Some soldiers have taken on an extra job in order to boost their income – although this can only be done with the permission of their CO. Spouses in the UK can also count income from their employment in order to bring children over to join them. Do not apply if you do not meet the requirements as your application will be refused and you will lose the fees. 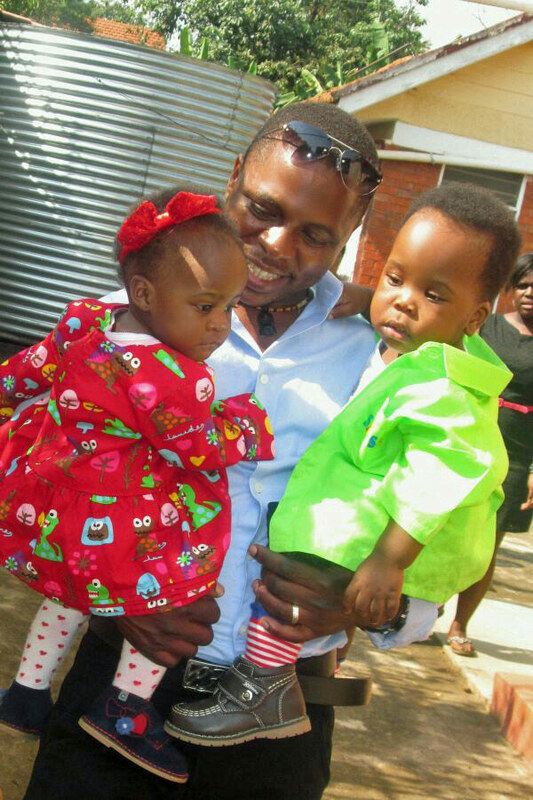 Pte Tomale is currently posted in Cyprus and was able to bring his spouse out to join him, but he wasn’t earning enough to bring his twins, who are currently living with his mother-in-law back home in Uganda. The income requirement is £24,800, a sum he is currently earning if you include his LOA, but AFF has been informed by Army HQ that LOA cannot be included. Pte Tomale (pictured) says: “It really hurts being separated from my children. They are two years old now and I have missed all the important stages of them growing up.